Chicago Review Press, 9780897335928, 279pp. A young lawyer in a pretentious law firm loves a girl that he can't have and is forced to try a major case that he can't win, and must do both under the critical scrutiny of senior lawyers who will soon decide whether to promote him to partnership. 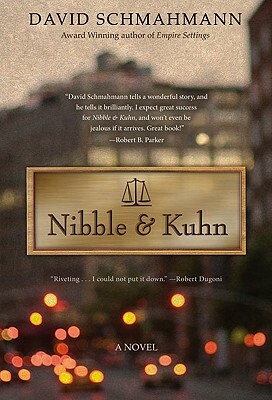 "Schmahmann... takes a sardonic look at the law and justice in this smoothly told love story."